Universiti Kebangsaan Malaysia is one of the world’s top 200 universities. THE country’s education and economic sectors require a clear framework and direction for the nation to become more dynamic. Former Universiti Kebangsaan Malaysia (UKM) vice-chancellor Professor Tan Sri Dr Noor Azlan Ghazali said both sectors need strategic plans. For example, he said, the Malaysian Research Assessment is used for the development of research in public universities in the country, but the next step in this effort must be identified. “Our education system requires a strategic plan with a clearer and more systematic direction, which needs to be put in place by the government. “The education system needs to be changed so that it will not be too exam-oriented,” he said at his last press conference as the vice-chancellor last month. Noor Azlan said the growing number of tuition centres showed that the people are not confident with teaching and learning in schools. He said parents are becoming too obsessed with exams and good grades, hence they send their children for tuition as early as Year One. He said this can affect the development of children. He said the education sector needs a revamp which covers the entire school system up to tertiary education so that there is continuity in the whole spectrum. Noor Azlan ended his service as UKM vice-chancellor on Dec 31 after leading the university for four years since January 2014. He was replaced by former Universiti Malaya deputy vice-chancellor (academic and international) Professor Dr Mohd Hamdi Abd Shukor. Hamdi’s appointment will be for a period of three years from Jan 1 this year to Dec 31, 2021. Noor Azlan shared UKM’s achievements over the last four years and thanked the university’s staff, faculty members and students for their endless support in making the university a world-class institution. He said the university is ranked among the world’s top 200 universities in the Quacquarelli Symonds World University Rankings. Other achievements include collaborations with University of Oxford on cybersecurity and the appointment of UKM researcher Associate Professor Dr Sufian Jusoh to the British university’s think tank. “The university’s Faculty of Information Science and Technology and Cyber Security Oxford, a centre for study and research in cybersecurity at University of Oxford, will work together on a cybersecurity capacity portal between the two universities. Noor Azlan said the UKM development plan 2030 includes infrastructure construction. “We have set up Khazanah UKM in August 2015 to generate revenue for the university, in which UKM internal revenue went up 41.5 per cent, or RM122 millions, in the last four years. He said identifying opportunities for the university, or university-based learning activities that are relevant to departments’ collaboration and other entities, are important. For the 2018/2019 academic session, the university has introduced Gaya Siswa UKM App, or Mesra@UKM, an app for the registration of new students. He said the app, which is available for download in Google Play Store and Apple App Store, provides information on the schedule for the orientation week, directions and maps to help students find their way around the university. Noor Azlan, who is an economist, said the government must also provide a new action plan for the economic sector. He said the former government had various economic plans, including planning the corridors and infrastructure development, as such, he hoped the new government will do the same. “The previous government last introduced an economic policy in 2010 via the New Economic Model. The country now needs a new economic framework. We need to talk about giant multinational companies, small- and medium-sized enterprises (SME) enterprises globally and so on. We seldom hear about SME Corporation and other agencies. “We need a new plan because we don’t know which action plan we are referring to. If there is a new plan, it is easy for all industries to focus on specific sectors. He said he would like to continue helping UKM in any way possible and that Hamdi can always count on him for advice or discussions about UKM. 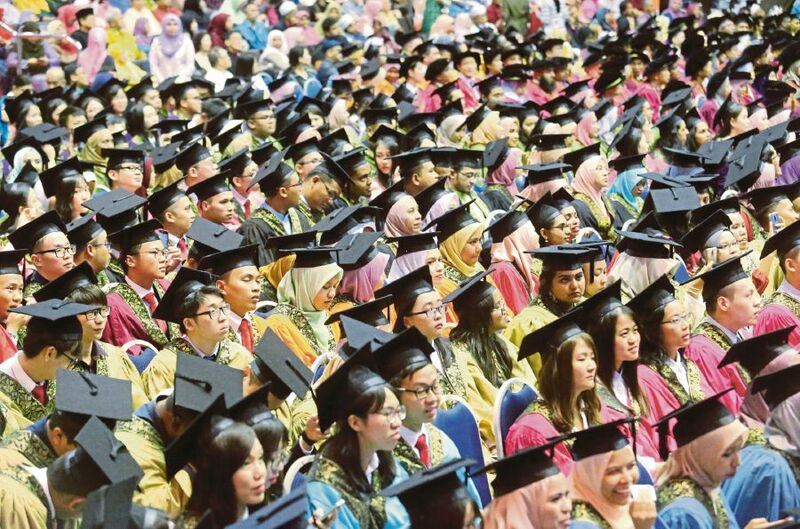 The handing over of duties ceremony was held on Jan 3 at UKM’s Chancellory Building in Bangi. UKM Board chairman Tan Sri Abdul Wahid Omar expressed his gratitude to Noor Azlan for his excellent services and leadership. Noor Azlan welcomed Mohd Hamdi on board and urged the university’s faculty staff, academicians and students to extend their support and cooperation to the new vice-chancellor.